PayForIt is a secure and easy method to pay for school meals online. Those who have used the school lunch payment system know how convenient it can be. What isn’t convenient is the additional user charge for each transaction. 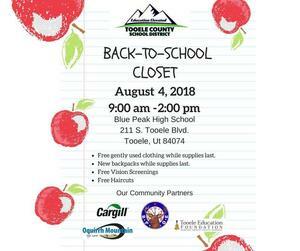 Tooele County School District is committed to being open and transparent with the public regarding school district finances. For the 2016-2017 school year, the district had General Fund expenditures of $94.225 million which was a 8.59 percent increase from expenditures in the 2015-2016 school year. Revenues have increased as well, which has been a great for our district. For the 2016-2017 school year revenues received consisted of roughly 19.69 percent from local property taxes, 1.66 percent from other local sources, 6.19 percent from federal appropriations, and 72.46 percent from state income taxes. In other words, approximately 93.81 percent of our revenues are from state and local sources.